The 2017 inauguration marks the 12th consecutive time Electrical Alliance contractor, Heller Electric Company, Inc., has performed electrical work for the Presidential Reviewing Stand, Media Stand and Mayoral Parade Reviewing Stand. Heller Electric workers adhered to strict security standards, were fingerprinted and underwent background checks. Its electricians on the project often worked 10-hour days, seven days a week for months leading up to the event. 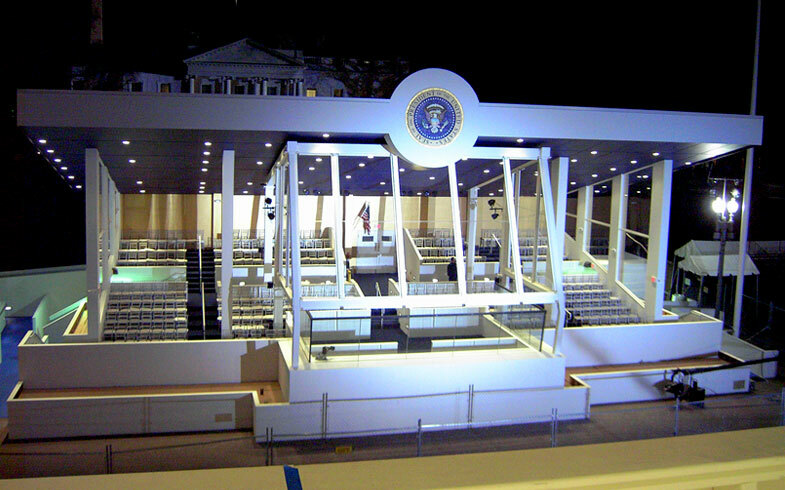 600 amps installed in the Presidential Reviewing Stand solely for lighting and heating the entire stand and bulletproof enclosure. The three-story Media Stand is powered by 800 amps that supplied approximately 96 electric outlets for the media in attendance. The heating and lighting in the Mayoral Parade Stand, that held the mayor and all Washington, D.C. government and guests. Heller Electric workers manned each structure and the materials trailer the day of the ceremony to ensure all operations ran smoothly.